You are At Midfield, Welcome! (Note: Your Midfielder is posting this first person account of the honorable former Vice President Tito Guingona Jr. Sir Tito,who lives just a stone’s throw away, on 9th Street. has been the constant source of hope for the 180 families living between 6th and 7th Street in New Manila’s Barangay Marianas. With power comes responsibility intertwined with inescapable accountability. 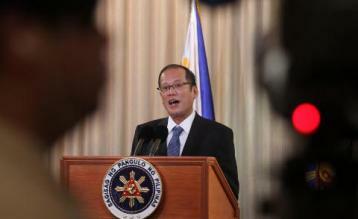 I have no doubt that Mr. Benigno Simeon Cojuangco Aquino III fully knows and accepts this. 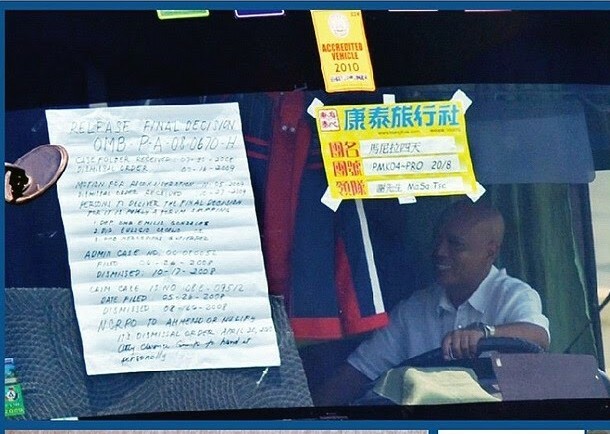 He vowed as much when he took his oath as President some 100 days ago and no event underlines this burden more than that August 23 bloodbath at Quirino Grandstand where a disgruntled cop protesting his dismissal turned a tour bus into the death chamber of 8 Chinese and three Canadians of Chinese descent. (Ming Pao via InMediaHK) Lee Ying Chuen: Give justice to the victims, Not direct anger at the weak. August 29, 2010. On Wednesday evening, the government charter airplane landed at the Hong Kong International Airport. My mother who had been so terrified went in the company of family members to wait in the vehicle arranged by the government. I stood along with other family members of deceased victims to quietly attend the farewell ceremony. The bagpipe played . It was very solemn, and also very sad. I read the names of the fellow travelers written on the white cloth on the coffins. Tears came touring out of my eyes. Who could have imagined before that this tour group would return to Hong Kong in this fashion? I watched Mrs. Fu and her two children bid farewell to her husband. Her 4-year-old daughter affectedly asked her mother: “Mom, why is dad going back to Hong Kong but not coming home? Mom, why do I see Dad when I shut my eyes?” These innocent childish remarks broke the hearts of listeners. But the admirable Mrs. Fu was quite strong. She addressed her daughter in her normal parental tone and said that Dad has gone to heaven. She asked her daughter to bid farewell to Dad. After a while, she began to cry. There was also the dull look in little sister Wong’s eyes, looking as if all her feelings have been drained. After getting off the plane, I approached the mother of our tour guide Masa. I held her hands, but I did not know what I should say. I was only able to say that I wanted to thank Masa because he took care of us right until the very last moment. On the way home, I looked at the moon through the car window. It was so round that it was heart-breaking. I don’t know if this is July 15 or 16 in the Lunar Calendar. The moon was so bright, yet so cold. I have reviewed the incident in my mind many times over the past several days. I am extreme angry and sad. I also have an indescribable regret. I kept thinking, Why didn’t we take action to save ourselves? Why did hand our fates over to an incompetent government during the long waiting process and quietly wait for the help that never came? Some of us actually did think about taking action to subdue the gunman. So why did we waver? Because we were afraid, because we thought that the gunman did not really want to kill anyone, because we thought that the matter would be peacefully resolved and, of course, our biggest mistake was to over-estimate the capabilities of the local police. The gunman got on the bus around 10am. We were about to leave the ancient fortress that commemorates the founding father of the Philippines. He got on the bus and said a long string of words in local dialect. He also used some simple English. Through the interpretation of our local guide, we learned that he was a policeman who had been dismissed unfairly. He was originally scheduled to retire in January next year. He wanted the government to re-open his case, give him his job back and restore his 1 million peso pension payment. The gunman apologized to us many times. He said that he did not really want this to happen to us. He only needed us to help him force the government to pay attention to his case. He emphasized repeatedly that he would not harm anyone as long as we cooperate with him. He then asked the tour guide to confiscate our mobile phones. But he did not really seriously check whether we did hand over our mobile phones (I was really sorry afterwards that I actually handed over my mobile phone). He emphasized that he did not want our mobile phones, but he was only temporarily holding them. He said that he did not want our money. He let the elderly Mr. Lee get off the bus, because Lee suffered from diabetes. Everything made us think that he had some minimal humanitarian concern to look after the young, the old and the sick and therefore he was not a vicious thug. Right before he opened fire, he never even pointed the gun at any of us. He never threatened us. When we said “toilet” to him, he would wave his hand to let us go into the small room in the rear of the bus to relieve ourselves using a plastic bag. During the first few hours, the gunman was calm when he spoke on the phone. Often times he smiled. He kept saying, “Ok, ok.” This reassured us. Periodically he would emphasize again that he would not hurt us. He let people from the outside bring food for us twice. Right before dusk, while we were still worried and afraid, it was still relatively calm in side the bus. I read my palm several times. I thought that I have a long lifeline. Didn’t the palmists tell me that several times before? I told myself that this was just a farce that would end satisfactorily. At first, we thought that the demands of the gunman were simple enough to be resolved within an hour or two. By noon, we were getting impatient. We whispered to each other about acting together to subdue the gunman. The gunman was alone. Although some of us are children, elders and women, we had about ten able men, youngsters and adult women who could act. The tight space on the bus would make it hard for him to escape from us. If we act together, we could subdue him. But we were scattered all over the bus as ordered by the gunman, one person per row on each side of the aisle. The bus was also long. If we cannot hold a discussion together, it would be hard to coordinate our actions. I spoke several times with the team mates in the rear. But because it was still relatively peaceful, we did not take action because we thought that the matter would be peacefully resolved and, if we took action, it would rile the gunman. Several times the gunman opened the front door of the bus and stood on the steps. I really wanted to race up behind him and kick him out. I rehearsed the move many times in my mind. But I was afraid that I could not communicate with the driver and I was worried that he would not be alert enough to close the door and drive away immediately, leaving the time for the gunman to counter-attack … I thought about many possibilities. In the end, I took no action. This may just be an excuse for my fear and cowardice. Time dragged on without any sign of resolution. 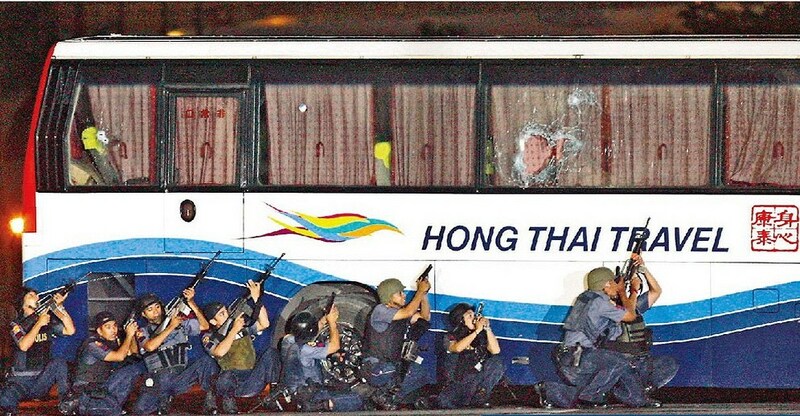 The team mates at the rear of the bus discussed several times about subduing the gunman. We noticed that he always carried his weapons on him. We determined the best spot to attack him. We looked for objects around us to use as weapons. I said that although I am short and weak, if the guys can hold him down, I can grab his gun and hold his hand down so that the people in front of the bus can escape. Mr. Leung also instructed his children to assist during our assault. But in the end, we wavered and did not do anything, all because the gunman kept moving the stated deadline back and back while waiting for a government response. We felt that he really did not want to kill anyone until the moment when he actually opened fire on the team mates in the front rows. By the time Mr. Leung rushed over to save his family, it was too late. Afterwards I spoke to Mrs. Leung and she said that she was ready to join us in our attack on the gunman. She planned to use some strings in her handbag to tie around the gunman’s neck. If we had all been braver, if we had gotten our act together earlier and if we took decisive action instead of waiting for the police rescue, the outcome might have been different. Unfortunately, history does not have any “maybe’s”. I hid underneath my seat and avoided the volley. At that instance, I could hardly believe that this scene from some movie was really happening to me. I saw that my mother hid herself under her seat in another row and was also alive. I felt better. After the first volley, it became quiet inside the bus. There was the sounds of thunderclaps outside. Then the rain fell down hard on the bus top which made the inside of the bus even more eerily quiet. It was very dark inside the bus. When the gunman found someone still alive, he fired more shots with flames coming out the barrel. I saw that blue fire entered the bodies of the team mates who became immobile and silent. After a while, there came many more loud gunshots. 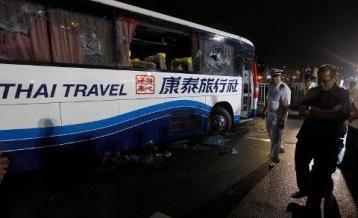 The bus was also being struck hard on all sides, reminding the survivors that they could be dead within the next second. Looking at the immobile bodies in front of me, I automatically began to say the Buddhist chant 「謁諦謁諦，波羅謁諦，波羅僧謁諦，菩提娑婆訶」so that the dead ones can reach the opposite shore quickly. This was my long-time custom whenever someone passes away. I wondered without reflection, Are they really dead? Several minutes ago, they were still alive. Are their souls still wandering around inside the bus? I kept repeating the Heart Prayer slowly, one word at a time … I thought about all the things that I still cannot bear to leave behind. I thought about all the things that I still wanted to do. I thought about my beloved family and friends. Of course, it would be better not to die. But I was no longer as scared as I was initially. I was most concerned about my mother who was coughing from the two tear gas assaults and might be detected by the gunman. The gun battle went on for a very long time, as if it would never end. I felt that my hair and body were covered in blood, all coming from others. But the next second it could be my blood. For several days afterwards, I could still feel the smell of blood. Inside the ambulance, we asked the emergency workers to stop the bleeding on Mr. Chan’s hands. The emergency workers said that they had no equipment. My mother was still suffering from the effects of the tear gas and wanted some water to drink. The emergency workers said that they had no water. I looked in the cabinet inside the ambulance. There was nothing inside. I had to smile bitterly. I was at the hospital. I let my mother settle down. It was almost 5am in the morning. I took off my blood-soaked clothes. My hair was rigid after the blood had curdled. I washed myself for a long time. The thick smell of the blood made me want to vomit. I came back out and sat on the sofa. I watched the steady rhythm of the breathing of my mother sleeping in her bed. I was afraid that she might become motionless suddenly. I watched for I don’t know how long. Then I became certain. Yes, we are safe, we are alive. I took a deep breath. I became calm inside slowly. I watched the dawn come, as if I just emerged into a new life. I closed my eyes. But the sound of gun shots rang out — “pow, pow” — my calm was disrupted. Hereafter, every time I closed my eyes, I heard gunshots and saw the bodies of my team mates writhing. I didn’t know if they are on the way to Heaven. I could not close my eyes. The world saw how ridiculously and incompetently the Philippines government and police handled the matter. There is no need for me to say more. While at the hospital, I watched the local news. I learned what their President did and said. I heard that the police excused their own incompetence by blaming the media. They said that there should be news blackout during emergencies. I had to curse out aloud in the room. 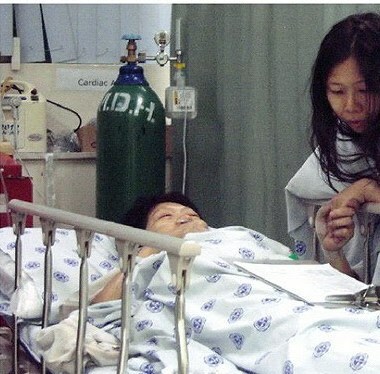 During my two days in the hospital, I was visited by many Philippines government officials and other persons. The younger sister of the President visited me on behalf of her brother. I stated my anger directly. I demanded a thorough investigation, accountability and an explanation to the families of the victims. The medical workers at the hospital did their best to take care of us. I am very grateful to them. I realize that they are trying to make good for the mistakes of their nation. Before returning to Hong Kong, I went to see Mrs. Leung. I wanted to tell her that we were returning to Hong Kong before her. I also wanted to give her some support. Mrs. Leung was awesome. She was very calm, and she comforted me. She believed that God has given her a lot of spiritual support. But when we spoke about the final moments inside the bus that day, both of us began crying. Dear God, although I am not a believer in you, please take care of her heaven-bound loved ones as well as give your infinite love and blessing for her son who is still struggling between life and death. 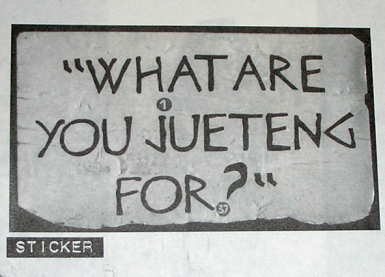 I kept thinking about what turned a former excellent policeman into a cold-blooded killer? Didn’t he have any reservations? Didn’t he worry about his own family? What drove him to such desperate straits? Why did he have to choose to take hostages in order to force the government to review his case? Is there no way of making an appeal in that country? I realized finally that even though I had some colleagues from the Philippines, I and most Hong Kong people know almost nothing about that country. There are more than one hundred thousand Filipina domestic helpers in Hong Kong and they live with our families. But we have never cared about this country and its people who provide us with a large number of cheap laborers. We know that the Philippines is poor and that is why they export domestic workers all over the world. But how poor? 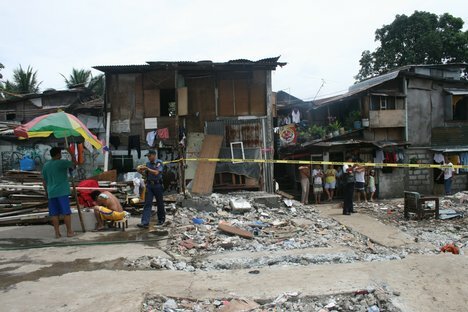 I checked and I found out that one-third of its people live below the poverty line. Killings and kidnapping occur on a daily basis. Under such circumstances, why kind of life do the people have? I remembered that two days before the hijacking, our schedule included a visit to a flower car factory. There we smelled a foul odor. The tour guide pointed to the outside of the factory wall. There was a mountain of garbage out there. Many young children were picking through the garbage to make their living. This made us sad and speechless. After returning to Hong Kong, I learned that there had been quite a bit of anti-Philippines talk in Hong Kong over the past several days. On the Internet, someone proposed revenge by sending all Filipina domestic helpers home so that their country would plunge into economic hardship. I learned that Filipina domestic helpers were insulted in the streets, with the Philippines being referred to as the “nation of slaves” and the “nation of servants.” I can understand that the citizens are incredibly angry with the Philippines government and police. I feel the same way myself. But what has this got to do with the people of the Philippines? Have we forgotten what it feels like to be discriminated against? Hong Kong was a colonized society for a long time, with the Chinese being discriminated against by the so-called “masters” within the system and their daily lives. 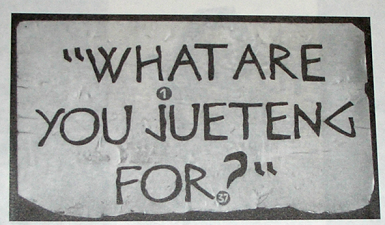 But now some Hong Kong people turn around to speak like slave-owners that “We hired so many Filipinas so we are their bosses” and “it was an act of benevolence to hire you so how dare you offend your superiors” against the Filipina domestic helpers who had nothing whatsoever to do with the Manila hostage incident itself. This is just appalling. The Filipina domestic helpers are the victims of their incompetent government, which was unable to provide a decent living for its people. That is why so many Filipinas have to leave their families. They work to take care of other’s children while leaving their own children behind. So why should the Filipina domestic helpers in Hong Kong serve as the scapegoats of their incompetent government? Why are some Hong Kong people angry but also being racist? Even more incomprehensibly, the Hong Kong government has just announced at this time that the wages of all domestic helpers (including Filipinas) will continue to be frozen. This means that the foreign domestic helpers cannot share the fruits of the economic recovery. Is our government exploiting the situation? Would the government care to tell us about their standards and system for determining wage levels for foreign domestic helpers? Their actions right now carry the impression that the government wants to punish the foreign domestic helpers. This is no help towards relieving anti-Philippines sentiments. A friend quoted the words of Lu Xun: When the brave become angry, they draw their knives at those even stronger; when the meek become angry, they draw their knives at those even weaker. Do the people of Hong Kong only know to draw their knives against the weak? Over the past several days, Hong Kong has been both angry and sad over this Manila hostage incident. Although I have not discussed with other team members, I am sure that we are grateful for the concern and support of the citizens. But the way to comfort the souls of the dead is not to blame the innocent Filipina domestic helpers and the people of the Philippines. 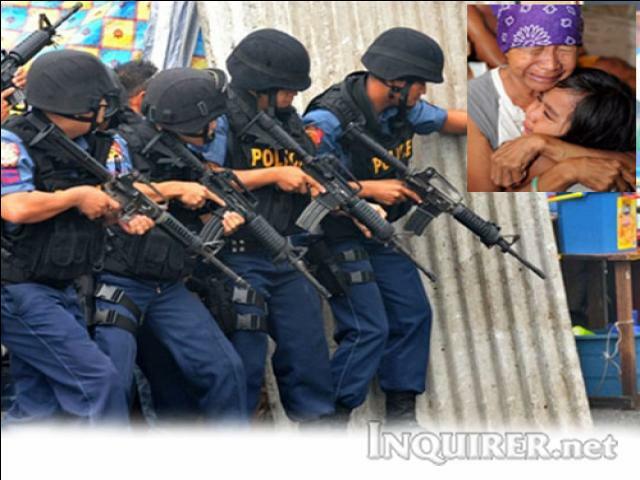 Our focus should be clearly on the Philippines government and its police. We want a fair and proper investigation. We want to an account of the responsibility in the incident. We want to provide for the future of the injured persons as well as the families of the deceased. This is how we show our concern for the casualties in this incident. In the long run, we should support the people of the Philippines to build a more trustworthy government and a more just society. This is how Hong Kong truly becomes a member of the international community and a cosmopolitan city with humanitarian concerns. Dear team members, we have finally returned home to Hong Kong. Dear departed team mates, may your trip be smooth; please pray for your family members still with us. Those team mates who have suffered mental and physical injuries, please be strong and recover well. The road ahead is still long. May we all have a good life. Please take care of yourselves. (Ming Pao Weekly) The Interview with Lee Ying Chuen. August 29, 2010. On August 23, the tour leader Masa Tse arranged for the 20 Hong Thai team members to have breakfast the hotel. Then he took us to the Santiago Fortress. This was the last stop in our four days-three nights trip. Afterwards, we were to return home by plane. After seeing the Santiago Fortress, we got on board the tour bus at around 10am. There were several dozen other buses around. I don’t know why the gunman Mendoza picked us out and got on the bus. He asked the local tour guide to tell us that he was holding us as hostages. The gunman looked amicable at first. He explained that he was scheduled to retire in January, but he was dismissed unfairly. He wanted the government to deal with some problems, including his 1 million peso pension. The gunman emphasized that he did not want our money and he would not hurt anyone. He said in English: “No harm! Cooperate, no harm!” He said “I am sorry!” many times. Then he ordered the tour guide to confiscate our mobile phones. Masa Tse was sitting at the back of the bus and he used the brief period of time to call his company in Hong Kong. Although the gunman stopped people from calling outside, he let the local tour guide call her family and even the office. After Mrs. Lee relieved herself, she was actually ready to go back to the bus. But the police prevented her. She had to appeal to the Red Cross. She told them that Mr. Lee has a serious case of diabetes and must take medication. The police negotiation expert told the gunman about the situation. The gunman used simple English to ask, “Who has diabetes? You can leave.” As Mr. Lee got off the bus, he forgot to take his belongings. So he used English to tell the gunman that his medication was inside his bag and he needed to fetch it. The gunman did not stop him. Mr. Lee said that as he stepped off the bus, the gunman put a hand on his shoulder and he was afraid that the gunman might change his mind! After the tour guide left the bus, we were basically unable to communicate with the gunman. We can only understand what he meant through the simple English that he spoke. I don’t blame Diana. When a person is threatened, she has the right to protect her own life. There was nothing wrong with her leaving us. But after she left, we found it hard to communicate with the gunman. That is a fact. But I think anyone of us would have seized the chance to leave. At around 11am, the gunman was watching the live broadcast on the television set inside the bus. Then he turned it off for a while, before turning it on again. He was normal and did not look afraid. He chatted with the Filipinos on the bus (the driver and the photographers). They talked and they laughed. At around 12:30pm, the gunman began to release hostages. He released Mrs. Fu and her two children. As Mrs. Fu left, she told the gunman that the other girl named Wong was family as well. The gunman let her leave as well. Then the gunman released the two Filipino photographers who helped to move luggage for the group. The gunman then asked the remaining 15 hostages and the driver to sit separately. On each row, only one person was allowed on each side of the aisle. Mrs. Leung who sat with Mr. Leuung was sent to the front. I was sitting with my mother and I was sent to the third last seat on the right. My mother was sent to the last row before the rest room. Mr. Chen said behind me. In front of was the Leung’s 14-year-old daughter Jessie. The other Leung daughter Doris sat in front of Jessie. On the left was the still unconscious Leung brother. Mr. Leung sat behind his son. The tour leader Masa Tse sat on the last row on the right in front of the emergency exit. The time went by second by second. The atmosphere began to get tense. But the team mates still sensed that the gunman was friendly. Team mates peeked occasionally outside the window to seek what the police were up to. The gunman kept talking on the phone, mostly in Filipino dialect with some occasional English mixed in. The gunman said to us: “You can all go!” He also said “Three, go!” many times, meaning that he would let us go at 3pm. I heard the gunman change the deadline several times during the phone conversation, from 3pm, 4pm to office hour. I did not have a watch or mobile phone, so I asked Mr. Leung across the aisle from me. “What time is it?” “4:30!” “What is office hour here? 5pm or 6pm?” We were getting impatient. The teammates in the rear of the bus whispered: “Why don’t we just subdue him!” We spoke many times. But we did not do anything because he gave a deadline to the government and he did not show any sign of wanting to shoot anyone. He gave us the impression that he was peaceful. When someone wanted to use the restroom, he would permit it; he never pointed the gun at us to threaten us. When the government people sent food over, he did not inspect it for weapons. This showed that he was not very alert. We regretted afterwards that we did not try to subdue him. The gunman kept pushing the deadline back. He continued to speak by telephone, mixing English with Filipino dialect. I only knew that he kept repeating his demand to the government. Sometime between 5pm and 6pm, the gunman got the tour leader Masa Tse to move from the last seat to the front. 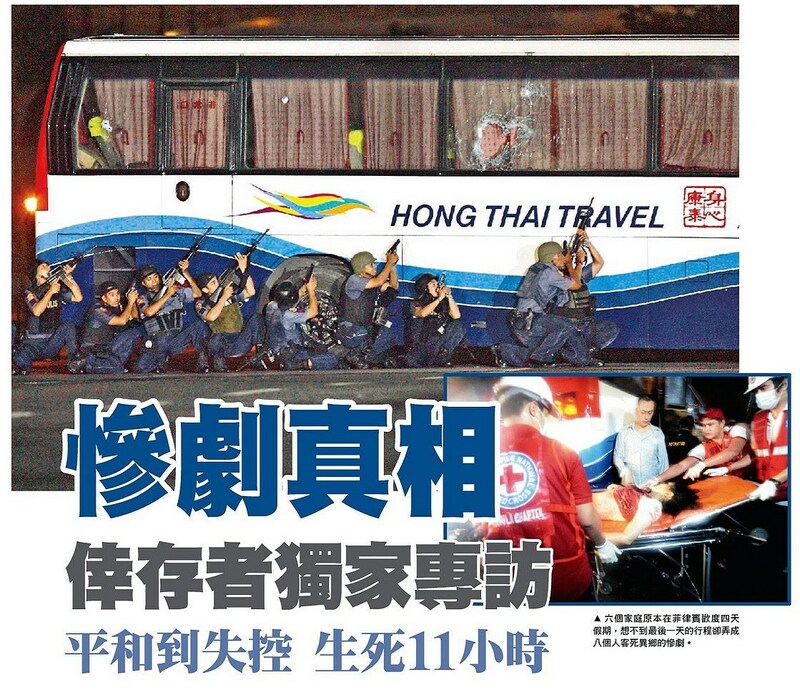 The gunman handcuffed Tse to the front door in an attempt to scare the government. He said on the phone: “Five minutes!” The gunman never asked for our names. He only counted the number of persons. Perhaps he needed to cite the number of hostages in his negotiations. Five minutes passed. He did not shoot anyone. He made many more phone calls with the outside. After more than half an hour, he got more agitated. I sensed that he was getting angrier. 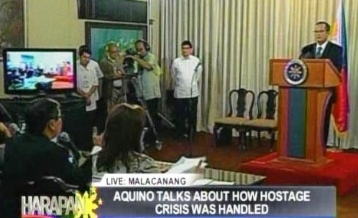 The television was still on, showing the live coverage of the incident. After another half hour, he still did not take any action other than speaking on the phone. By that time, it had gotten dark outside. The television showed the police arresting his younger brother. He probably saw that. But what led him to start shooting was a phone call. He hung up and immediately took out his gun. “Bang!” The first shot killed the tour leader. Then he walked from the front to the back, shooting at the passengers. Mr. Leung and some other men rushed forward to stop him. I heard “Bang! Bang! Bang!” The men fell down on the floor. I and my mother both hid underneath our seats. When the gunman got near me, I saw that he was holding his long rifle. There was a pistol on his right waist but he never took it out. It was dark outside and there was no light inside the bus. Basically one could not see anything. So I think the gunman never saw us. I hid underneath the seat for a long time. After a long time, I heard someone cough up front. The gunman added a few shots. At the time, I was only thinking … Will he come over? Will I really die? I was also worried about my mother. But I knew that she was underneath the seat behind me and I could see her. I stayed in the darkness for I don’t know how long. Then someone threw the first round of tear gas canisters into the bus. I was really scared. My mother was coughing. I was really afraid that the gunman might hear her and come over to shoot her. 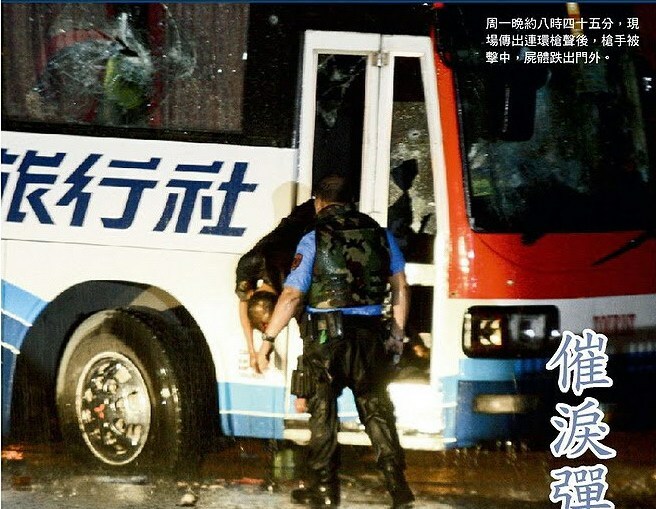 When the police tossed the tear gas into the bus, didn’t they think that we would also be affected besides the gunman? If we come out and the gunman was still alive, he would shoot us! Then came another round of tear gas canisters. They really didn’t care about our lives! After a while, I heard people calling out “Police! Police!” Then someone helped me get out of the tour bus. My mother followed me. Later on, I read the news reports and learned that it was almost two hours from the first volley to my rescue! Is it just me or are the President’s men becoming Pontius Pilates at his expense? Or is the perceived laid back style of the Bachelor President letting rumored turf wars between his top aides fester dating back to the election campaign fester? I am, however, wont to just to lay it all on the President. His designated alter egos must step up to the plate instead of leaving him shaking in the wind. With the blame game continuing and the political opposition feasting on the miscues, Filipinos ( all armchair strategists and pundits) are wringing their hands over the seeming steep learning curve of the young administration and the need for President Aquino to get a firmer grasp of the bull’s horn. As the days progress, your NPAs in the Cabinet plus the holdovers in unreformed agencies are wasting your political capital. The time to act, po. 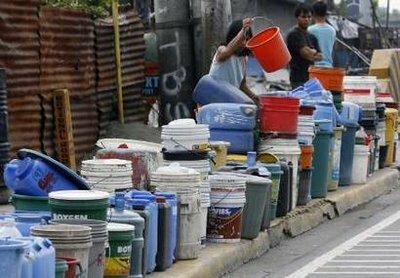 This is criminal shamelessness – the revelation that MWSS staffers pocketed 33 types of bonuses amounting to a total of P156 million out of the P242 million in the state water agency’s bonuses in 2009. With even drivers allowed to get car loans, the bonus include such emoluments like ‘family week benefit’, ‘privitization bonus’, ‘bigay pala’ bonus, anniversary bonus, mid-year bonus, year-end financial assistance, productivity bonus, Collective Negotiation Agreement incentive, GOCC incentive, performance enhancement bonus, corporate Christmas package, traditional Christmas bonus, calamity assistance, educational assistance, scholarship allowance, and family-week allowance. MWSS OIC received a Christmas bonus in Sept 09 plus a Christmas ‘productivity pay check of P200,000. Collected 13th month pay on Sept 09.
financial assistance, on Nov. 6, P130,000 Corporate Christmas Package on top of P100,0000 in Christmas bonuses on Nov. 17. A day later, P800,000 in car loans and on Nov. 24, P100,000 productivity incentive bonus + P20,000 in PX Mart allowances. On Dec. 10, P300,000 in financial assistance + another productivity incentive bonus of P94,000. collective negotiation agreement bonus and the next, P100,000 in “OGCC/GOCC celebration” funds and from from Dec. 17 to 22, P200,000 more in productivity bonuses. No need to mince words here. These self entitled folks at the MWSS, whose board members were earlier exposed during President Noynoy Aquino‘s SONA as having also raked in gazillions in benefits, are callous to the extreme and devoid of sensitivity to the fact that up to 7 in 10 Filipinos live in abject poverty. No need for anyone to tell you what to do, Mr. President. When Is It Time To Call In The Cavalry? Fernando G. Gagelonia has been a working journalist for some 30 years with focus on news and public affairs in TV and radio, in both the private and government sectors. 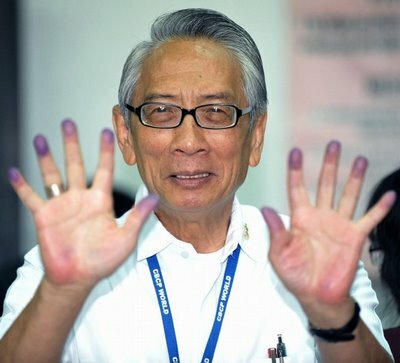 Now writing independently, Ding began At Midfield in the Critique section of The Philippine Chronicle in August 2007. He is a Contributor in the political writing collective Filipino Voices and is Editor-In-Chief of Filipino News Network, .